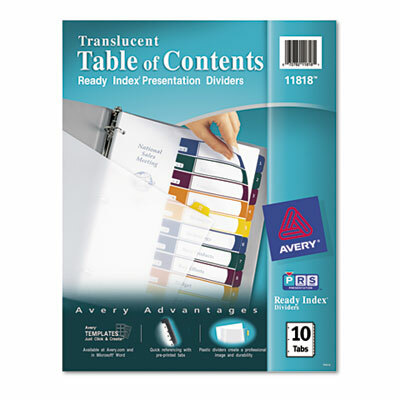 Table of Contents page is translucent, allowing a section title sheet printed on your laser or inkjet printer to show through. Numbered tabs color-coded to section numbers on Table of Contents page. Perfect for referencing professional reports. Table of Contents page is translucent, allowing a section title sheet printed on your laser or inkjet printer to show through. Numbered tabs color-coded to section numbers on Table of Contents page. Perfect for referencing professional reports.